The Leica GS14 is the most compact and powerful GNSS receiver the integrated mobile communications and UHF modem means it is suited for any measuring task. The Leica GS14 is the most compact and powerful GNSS receiver. The integrated mobile communications and UHF modem means it is suited for any measuring task. With its convenient, integrated design, the Leica GS14 is easy to use. Together with the leading GNSS RTK the Leica GS14 meets the highest standards for measurement technology. Leica SmartCheck technology evaluates and verifies your RTK solution to ensure the most reliable RTK measurements. 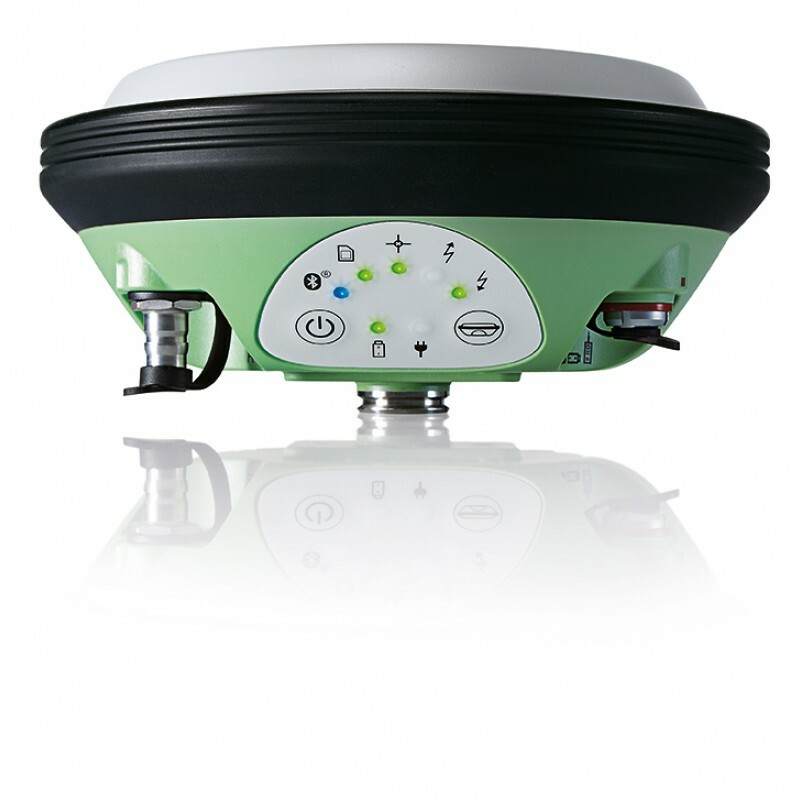 Thanks to SmartCheck Leica Viva GNSS delivers the highest reliability possible. The unique SmartCheck technology automatically makes permanent, independent checks while you are working. Leica SmartTrack technology guarantees the most accurate signal tracking. Leica SmartTrack technology is future-proof and ensures compatibility with all GNSS systems today and tomorrow. Leica xRTK is Leica Geosystems technology that provides additional, reliable positions in difficult measuring environments. It provides highest availability in even the most difficult conditions at a slightly lower accuracy than a standard RTK fix. The unique Leica Intenna technology fully integrates antennas to eliminate the risk of loss or breakage of external antennas. The fully integrated communication devices increase ease-of-use whilst maintaining flexibility to choose between UHF and mobile phone technology. Log the industry standard RINEX format directly on the micro SD(R) card. Extra convenience due to compact design and lightweight. • Output power 1W max. conditions, multipath etc. GPS and GLONASS can increase performance and accuracy by up to 30% relative to GPS only. 3 Upgrade possibility to 240 channels including GPS L5 and BeiDou.